Right now, I'd happily wait a full trice for said shower of cubes. 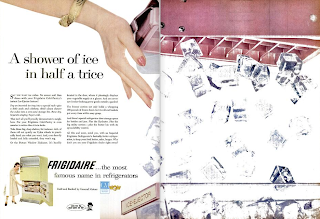 While we no longer have to sully our frosted-pink manicured nails to extract ice from trays, in 1956 this was quite the convenience. 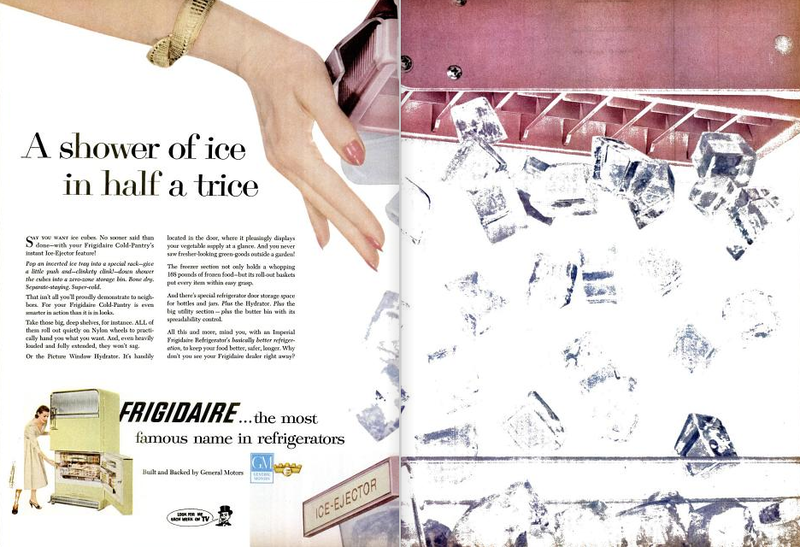 Ten years later, Frigidaire offered a fully automatic ice maker in conjunction with a thru-the-door dispenser. Engineering takes time. It's 111ºF now, and I'm going to go savor a tumbler of iced [cubes, not crushed] coffee as I contemplate whence comes the hand operating the Ice-Ejector. It's just too hot to think about anything more complicated.